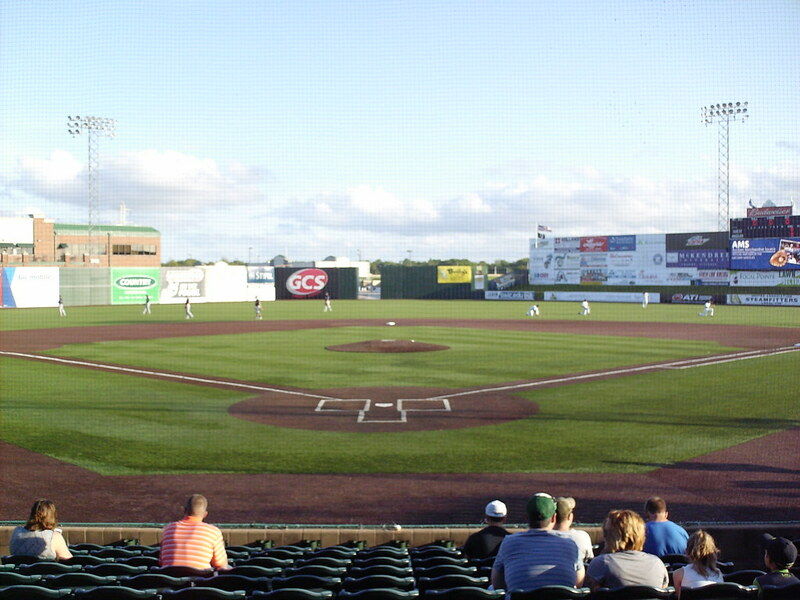 The view from behind home plate at GCS Ballpark. 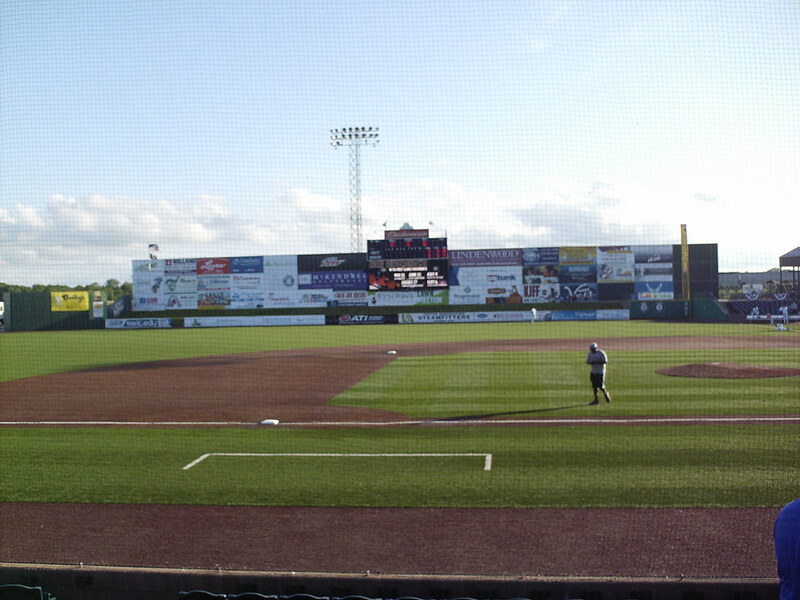 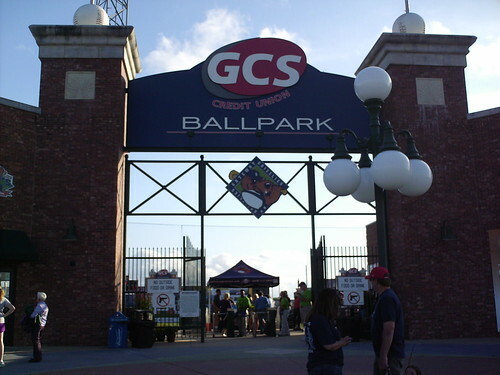 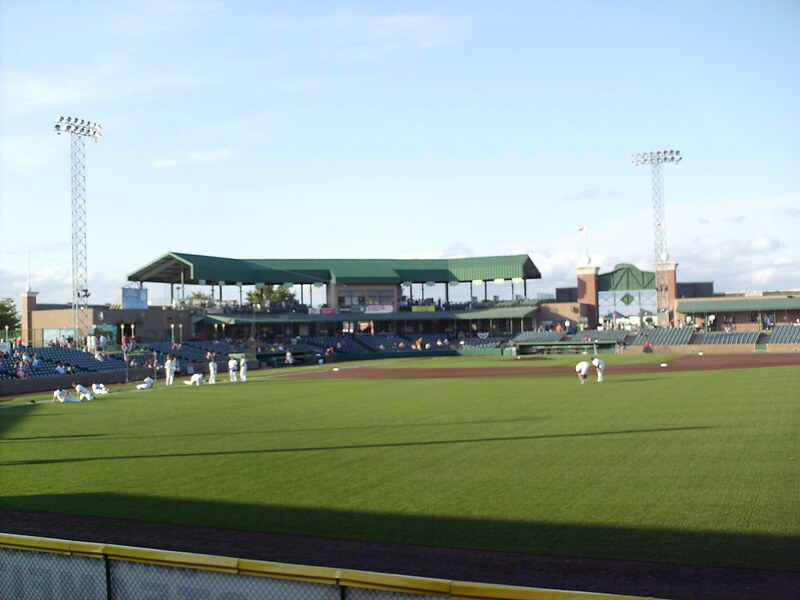 The grandstand at GCS Ballpark, as seen from center field. 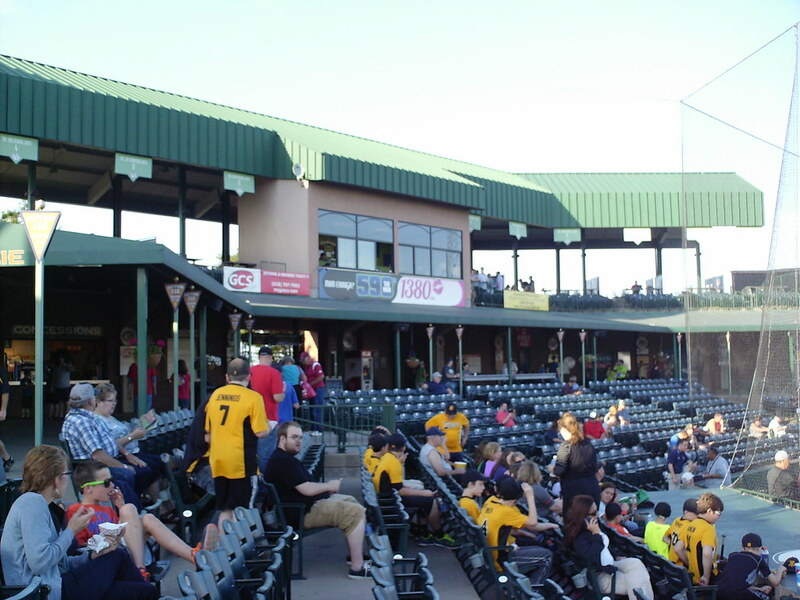 The pressbox behind home plate is flanked by open air luxury suites named for local teams and legendary players. 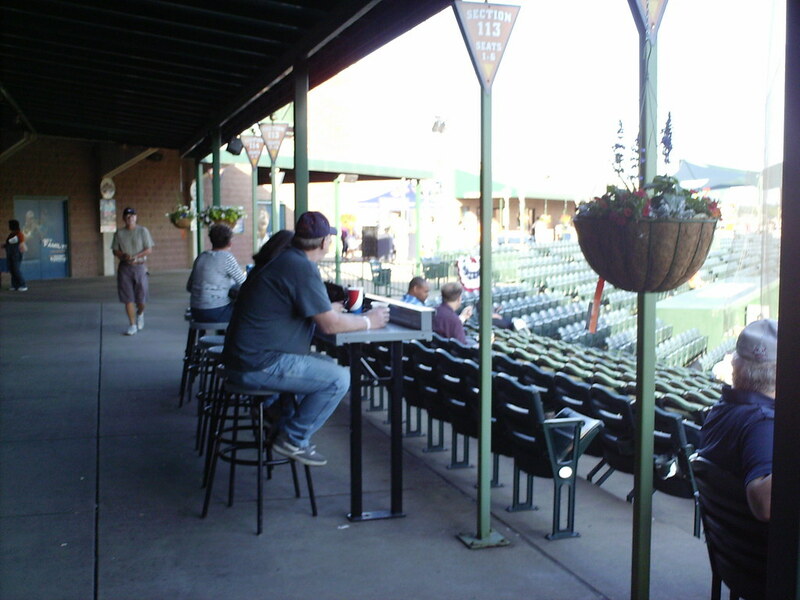 The concourse is open to the field all the way around the park, but behind home plate it is covered by a roof and features drink rails and hanging potted plants. 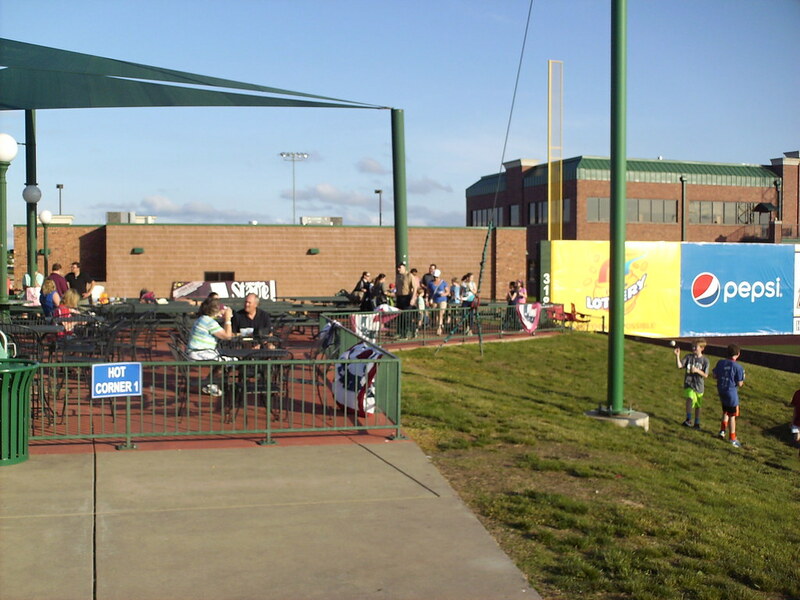 Covered group party seating sits above the berm in the left field corner of the park. 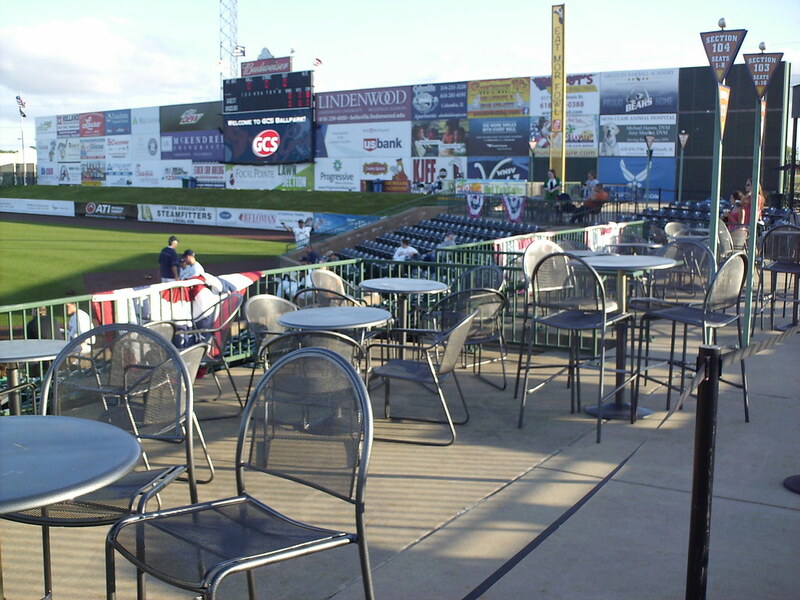 Table seating runs along the concourse in the right field corner. 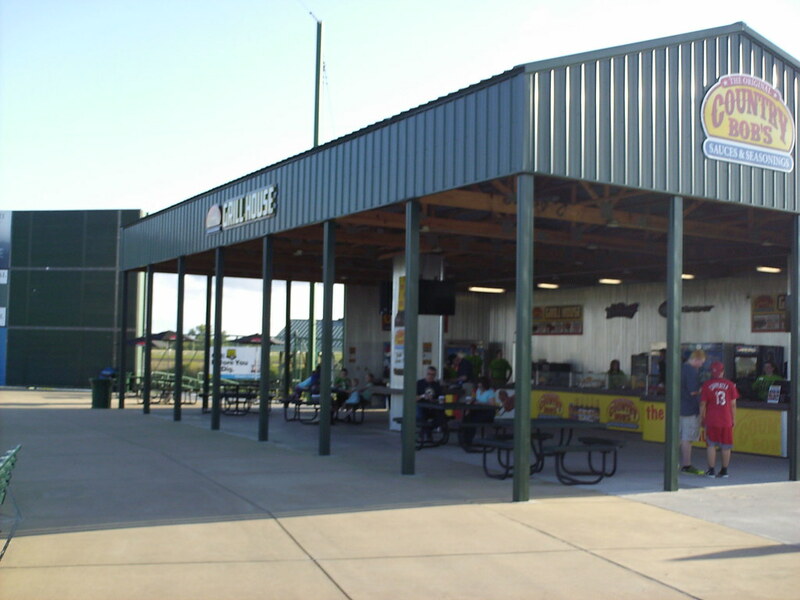 A barbecue shack and picnic table seating on the right field concourse. 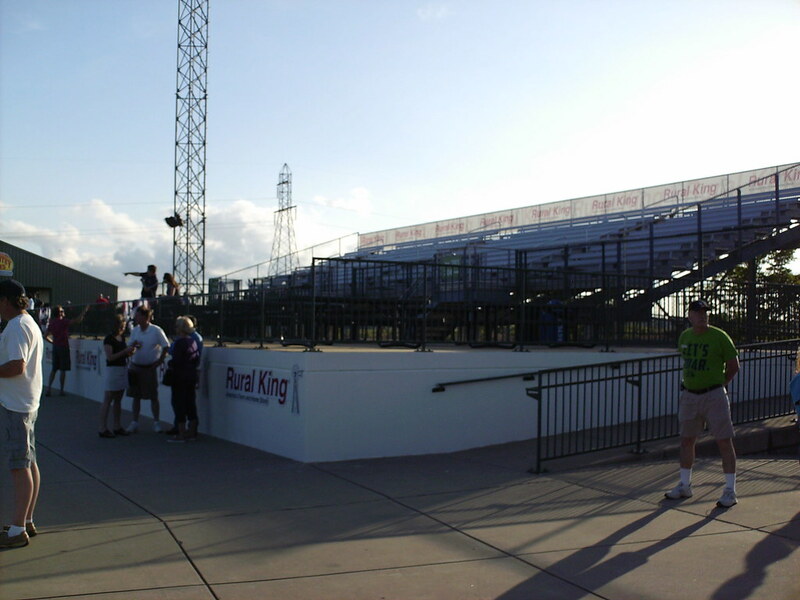 A large bleacher section sits down the first base line, separated from the main seating bowl. 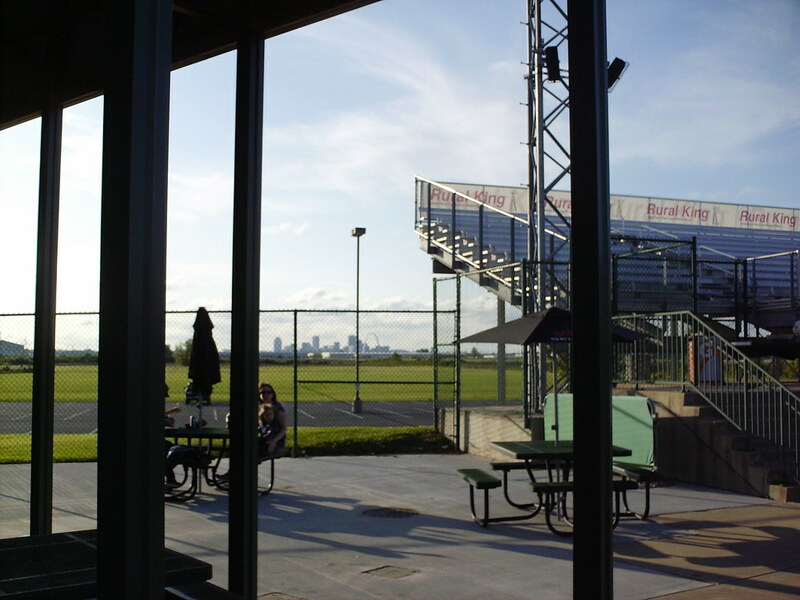 Downtown St. Louis and the Gateway Arch are visible from inside GCS Ballpark, just across the Mississippi River from the city. 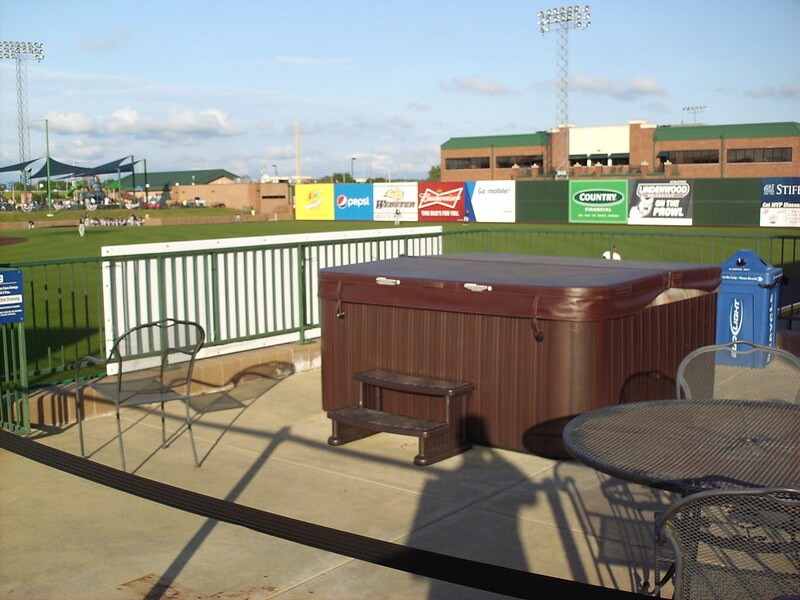 A hot tub sits beside the right field foul pole, available to rent for groups during Grizzlies games. 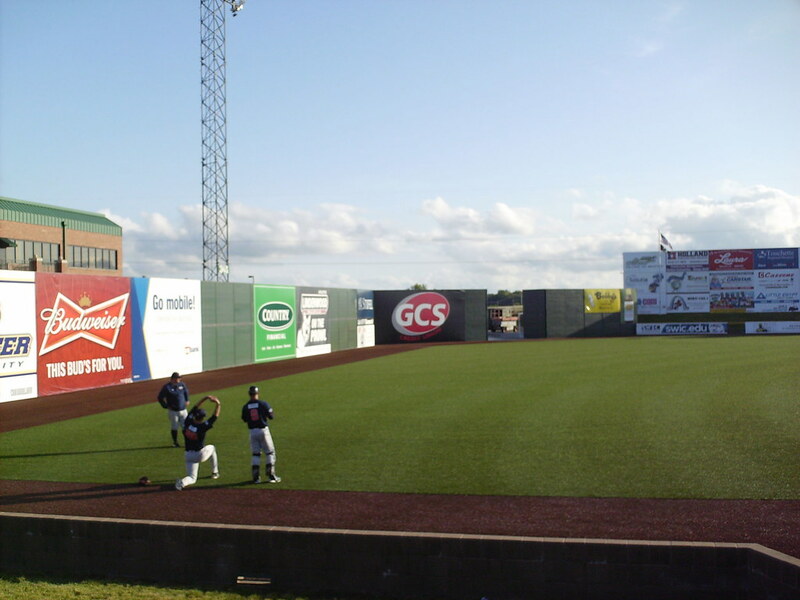 The artificial turf and outfield wall at GCS Ballpark. 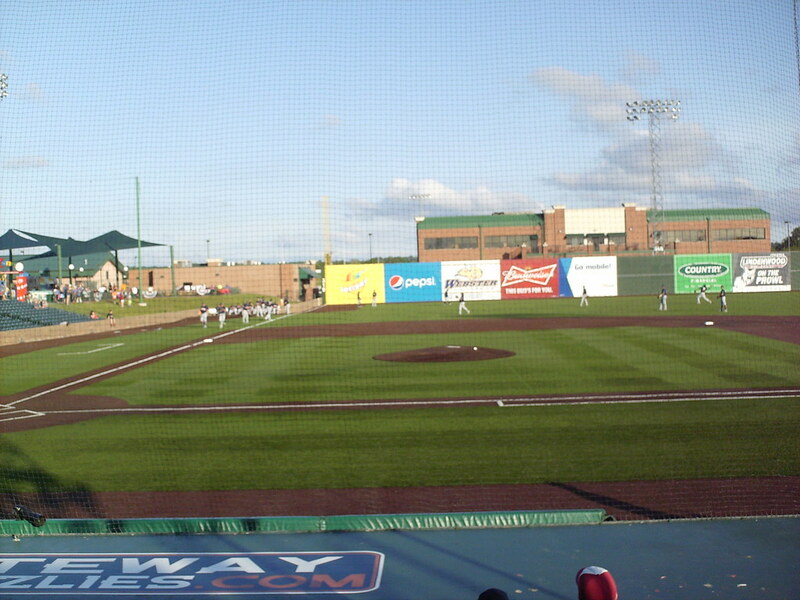 The fence is quite tall in left field, and much shorter in front of the berm in right. 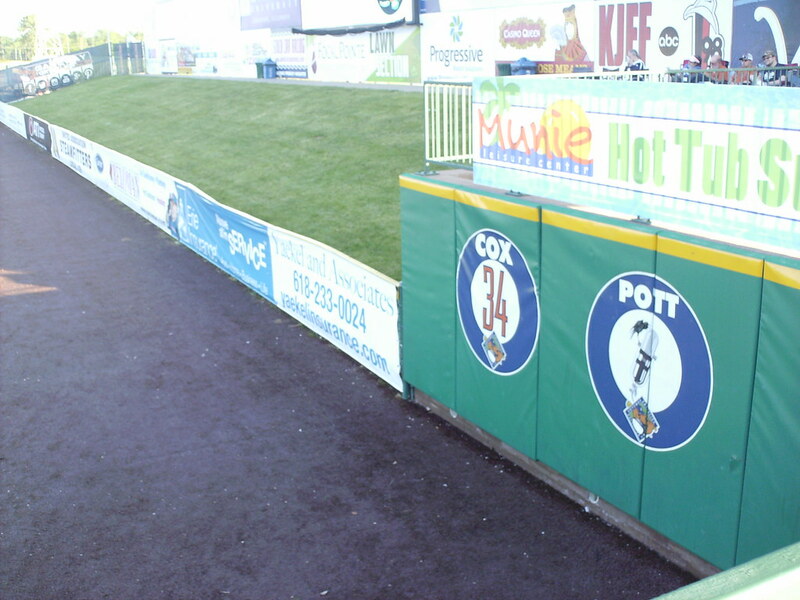 The wall rises in height briefly again in the right field corner, and the taller section of the fence displays the team's retired numbers. 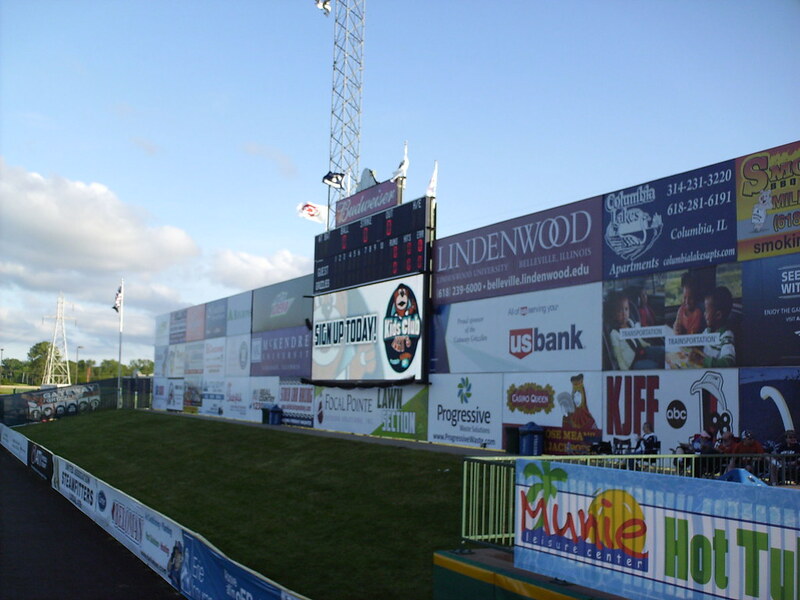 The scoreboard is mounted on a large ad wall behind the right field berm. 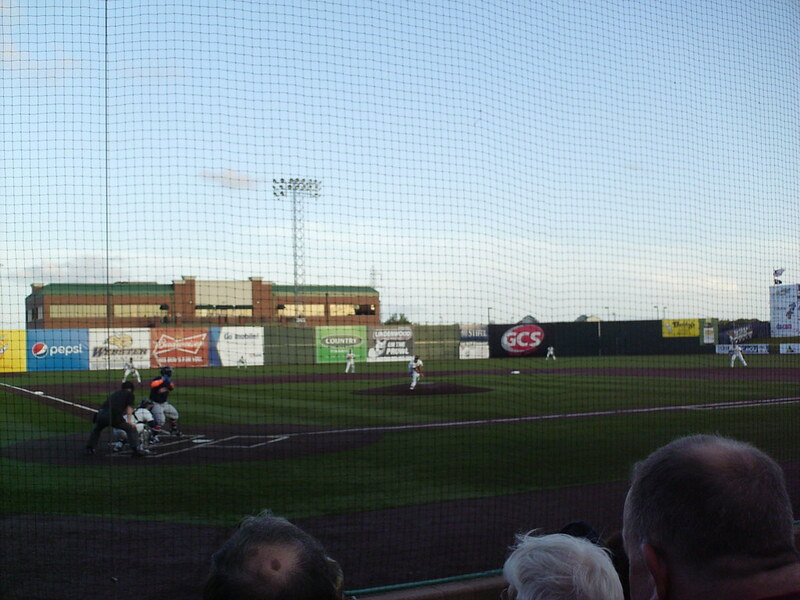 The Gateway Grizzlies on the field during a game at GCS Ballpark.